While the world is counting down to the New Year, digital marketers are preparing strategies and working on campaigns to boost their brand in 2018. Digital marketing is an evolving discipline; never staying the same for very long. That’s why you’ll need to be prepared for what’s next in digital marketing for 2018. With these four digital marketing resolutions, you’ll be way on your way to a successful 2018. Content marketing use by brands continues to rise, with 60 percent of marketers creating at least one piece of content each day according to eMarketer. And there’s plenty of data that supports the idea that content marketing works. There’s also the advantage content marketing has over traditional marketing in cost. Demand Metric reports content marketing costs 62 percent less than traditional marketing and generates about three times as many leads. With this in mind, content marketing should be a part of your digital marketing in 2018. Consider these focus areas. Did you have content that performed well this year? Great, now turn it into more new forms of content. 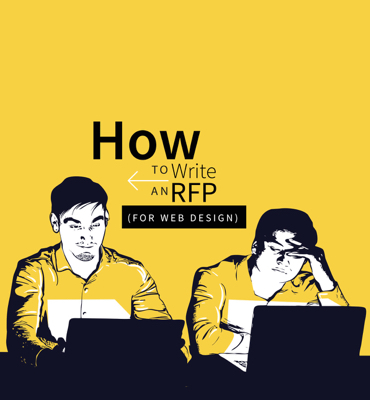 Break up an ebook into individual blogs. Turn data-heavy blogs into infographics. Take any kind of text content and make a short animated video of it for social media. There are endless ways to repurpose popular content. The content will all have the same central message, but you’ll be able to determine what formats perform well in which channels. You can then build on these findings. Interactive content will continue to be popular as well. Gamification allows you to make content fun. Consider the Buzzfeed quiz. They consistently create interesting and unique quizzes. You can take that same idea and develop your own quizzes. It’s an opportunity to have some fun and show your audience a lighter side. For example, if you are a furniture company, you could create a quiz around different styles. At the end of the quiz, the user would receive a “style” preference. Then you could lead them to a selection of curated product that match that style. This inspires readers. It lets them feel like they are part of the story. It’s also a great way to capture leads. We always want what’s in demand. And knowing it will expire feeds this desire. Such is the magic of ephemeral content. Instead of anchoring with evergreen content, consider playing on an audience’s FOMO (fear of missing out). Make short videos that echo authenticity. Show a little of the behind the scenes of your operations. Try an “Ask Me anything” session. To implement this, you’ll need to either use a channel like SnapChat, or post it on a landing page or part of your site with the condition it won’t be there forever. This is a huge opportunity to have fun and show a very human side of your brand. Content marketers have a lot to look forward to in 2018. There are many exciting ways to be creative. And those aren’t restricted to brands that are consumer facing. Any brand can take advantage of the power of content marketing. Pictures and video will continue to grow. A majority of the content published online is visual. KPCB believes that video content will account for 74 percent of all online traffic this year. Also, consider how imagery and video are consumed by audiences. It’s what they share on social media. 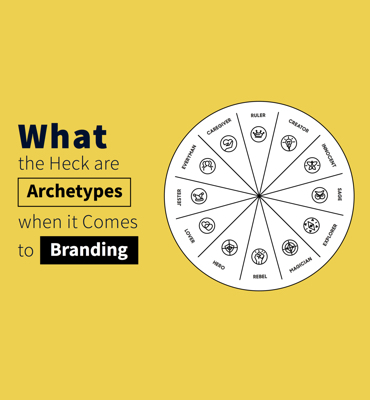 It draws people into your brand story. The best way to leverage visual content for SEO is to ensure the meta tags of images have keywords. Forgetting meta tags on imagery is a typical oversight that’s quickly fixed. For video, transcriptions with specific keywords can boost its rank as result from search. SEO is still an important part of digital marketing in 2018. But it’s changing and evolving. 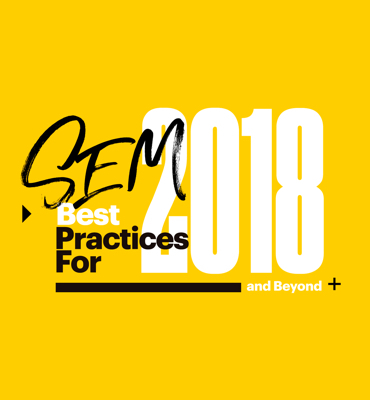 For your 2018 SEO plans, consider these factors. Now, anyone can use their voice to search. No typing required. Google reports 55 percent of teens and 41 percent of adults use voice search daily. There’s also the rise of digital assistants like Siri and Alexa. This impacts search in several ways. First, it enhances the importance of long-tail keywords. As those asking questions or talking to a search are more likely to use longer phrases. It also means that content should be written in a more conversational tone. Long-tail keywords are more conversational and specific. For example, add words to main phrases like “car rental” with terms that provide context like the city. Think of how someone who needs a service like “car rental,” and how they might phrase the question. Voice search also brings rise to “question and answer” content. So take the opportunity and create content that has a question and answer. When researching keywords, consider the question they may ask their digital assistant. Using the example “car rental” a question could be: How much is daily car rental in Sydney? When someone asks a question in search, it’s pretty clear to search engines of their intent – they want an answer. If your content answers this question, you’ll be considered more relevant and have a higher search engine rank. RankBrain is Google’s machine learning system that helps sort search results. It measures how users interact with search results and makes organic ranking sections based on what it learns. For instance, a user makes a query and chooses the fourth organic entry. The user clicks through and spends several minutes on the site. RankBrain interprets this as a “good” result and may bump it up from fourth place. On the other hand, if a user clicks the first entry and bounces out immediately, it will interpret this content as less relevant and may demote it from its number one spot. So, RankBrain is looking at dwell time and the click-through rate. RankBrain considers dwell time a “signal” of the content’s quality. So how can RankBrain help you SEO efforts? Well, first, it’s important to note that organic CTR is declining. Organic results are sometimes hard to see with the answer boxes, ads, carousels, and related searches. Search Engine Land found that on average, the presence of ads on a search results page caused the organic CTR of the first position to drop by 30%. The organic CTR was 25.7% organic CTR with no ads; and 17.9% CTR when ads are displayed. So, you have to fight that battle as well. There are clever ways to use what you find in ads to improve your clickability. Study the specific wording used in the ads, and incorporate them where applicable. Why? Because these ads are usually the result of lots of testing, and the wording used is tried and tested as a conversion magnet. Using some of this wording should help your organic CTR. RankBrain will then take notice and boost your post. Mobile forward design is the next evolution of the digital experience. First, brands created desktop and mobile experiences. This was a huge challenge with updates and management occurring on separate platforms. Then mobile responsive design became the norm. While, mobile responsive is an acceptable way to design, it’s mobile forward design that will matter in 2018 and beyond. Globally, this is the breakdown across devices: 52.64% mobile, 42.75% desktop and 4.62% tablet. Consumers use mobile to interact with a brand, read content, open emails, engages on social media and make purchases. Users want fast, easy-to-navigate websites. It’s no longer a nice thing to have; it’s a must. Because if your mobile UX is bad, users are unlikely to return. Google estimates that 61 percent of users will not return to a site they had trouble accessing on mobile, and 40 percent of users will then visit a competitor’s site instead. Speed is everything. Your site should load in three seconds. Three seconds is about the threshold for mobile users before they become frustrated. One experience on all devices matters, because many first visits begin with a mobile search. Currently, almost 60 percent of all searches are completed on mobile. So, regroup and plan for mobile-first, with desktop acting as an expanded version of mobile, not a different one. Data is critical to digital marketing in 2018. But you must put it in context and decipher insights. Just collecting it won’t improve your marketing. That’s why you need to invest budget here to ensure you get everything you can from your data. While you’ve probably heard a lot about artificial intelligence and how it can automate everything from chatbots to email campaigns, augmented intelligence is where opportunity truly lies. Augmented intelligence considers the human element in the formula. Augmented intelligence actually does more than the autonomous actions of artificial. Artificial makes manual actions automatic, but it can’t necessarily make decision-making more effective. How can augmented intelligence help your brand? It gives marketers the opportunity to find insights in big data. You will be able to identify patterns and recognize trends. It helps you find previously unseen possibilities. It also gives you a path to personalization, which is key in today’s interaction with clients. Audiences have become very savvy and sophisticated. Every user wants an experience that’s truly tailored to him or her. In fact, research has determined that 70 percent of online shoppers expect a personal experience. You can execute this trend in several ways: email marketing (segmenting lists to determine the most relevant content), or with retargeting ads reminding users after they leave your website of why they should return. Marketing and customer behavior data can be used to help brands create better relationships with customers. By looking for important insights, it’s possible to increase customer loyalty and improve on the customer lifetime return. This is all about understanding the customer’s decision making lifecycle. The value of analytics actually increases as the relationship continues per a Forrester study. This means that the data you are collecting around your audience and your strategies shouldn’t end just because a conversion or purchase occurs. There is much to look forward to for digital marketing in 2018. Resolutions are really about setting a new path and growth. 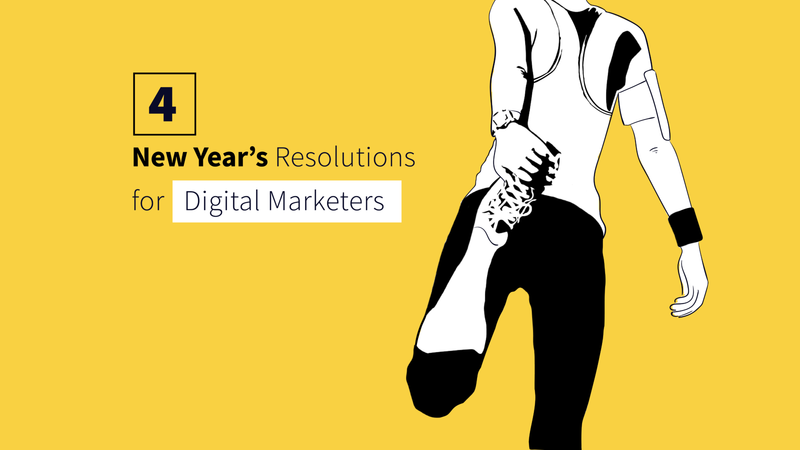 With these four resolutions, you’ll be able take your digital marketing to the next level.